The “diolkos of Corinth” is one of the great misnomers of modern scholarship. In antiquity, only two ancient writers applied the term to the Corinthia, the Roman geographer Strabo, who uses it to describe a land strip visible from Acrocorinth and equivalent to the narrowest part of the Isthmus, and the late Roman writer Hesychius, who quotes Strabo. While no one in antiquity associated the term “diolkos” with a physical road, modern historians and archaeologists have adopted the name to describe the paved portage road that snaked some 7 kilometers across the isthmus following the path of least resistance and slope. 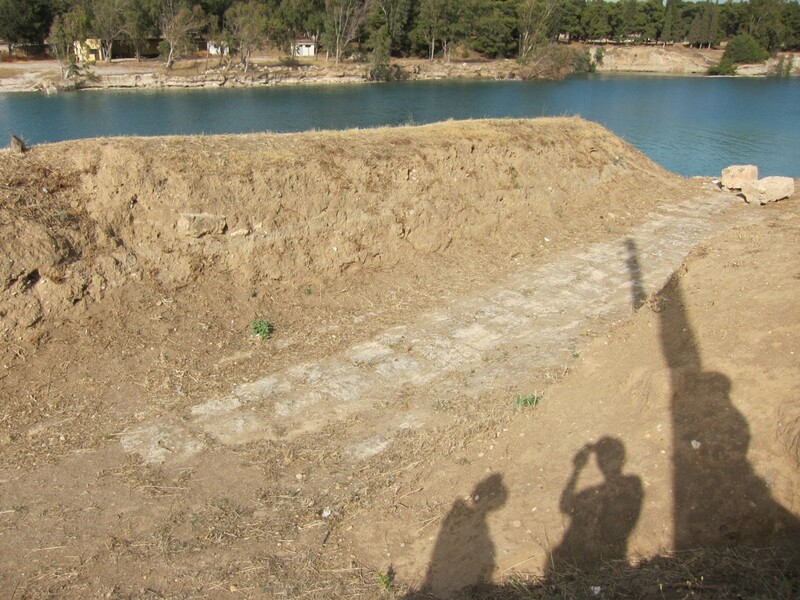 This trans-Isthmus road was excavated by the Greek archaeologist Nikoloaos Verdelis in the late 1950s on its western end at the Corinthian Gulf. How the portage road was used in antiquity is today a matter of debate. Some scholars believe that the road was used regularly for portaging commercial ships and cargoes from the 7th century BC to at least the 9th century AD–like a less efficient version of the Corinth Canal–and that the city benefited financially in the form of tolls and transport fees. Others (including myself) think the road was paved in the 6th or, more likely, 5th century BC, and functioned thereafter in different ways: occasional movement of military ships, conveyance of building materials from the southern to northern Corinthia, small-scale portaging of luxury goods, and the principal road from the Corinthian Gulf to the pan-Hellenic sanctuary of Poseidon at Isthmia. It is difficult to know how the road was used after the first century AD since Nero’s canal construction in 67 AD sliced its western end. Did this mark the end of the road’s use or simply a modification that local inhabitants managed to navigate around? This section contains up-to-date bibliography, texts (with links to on-line translations), and translations of Byzantine texts. For images of the diolkos, see the diolkos page in the photo gallery. For additional discussions, see the diolkos blog category.